A set of stories that surrounds certain SG teams, focus on both SG-11 and SG-14 dealing with the System Lord Hades. In Greek mythology, god of the underworld and eldest son of Cronus that now is believed to rule his own realm. This is is a set of various missions surrounding the System Load Hades and plausible opening the door more for Greek Gods. Dr Jackson Explanation: Elysium or the Elysian Fields is a conception of the afterlife that developed over time and was maintained by certain Greek religious and philosophical sects and cults. Initially separate from the realm of Hades, admission was reserved for mortals related to the gods and other heroes. Is believed to be found on P8X-574, where SG-15 found ruins of Temples that were pointed towards the direction of Hades. 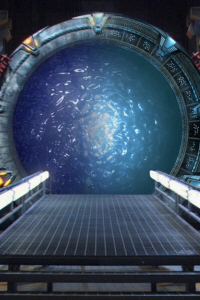 Now SG-11 is send through the gate to take over the scene in order to find more about this Hades Goa'uld and if there are any value technology that we can use back at the SGC. Okay, PM me a brief rundown, please, and we'll see how we can make something work for SG-11. This will be a standalone story, at least for now.